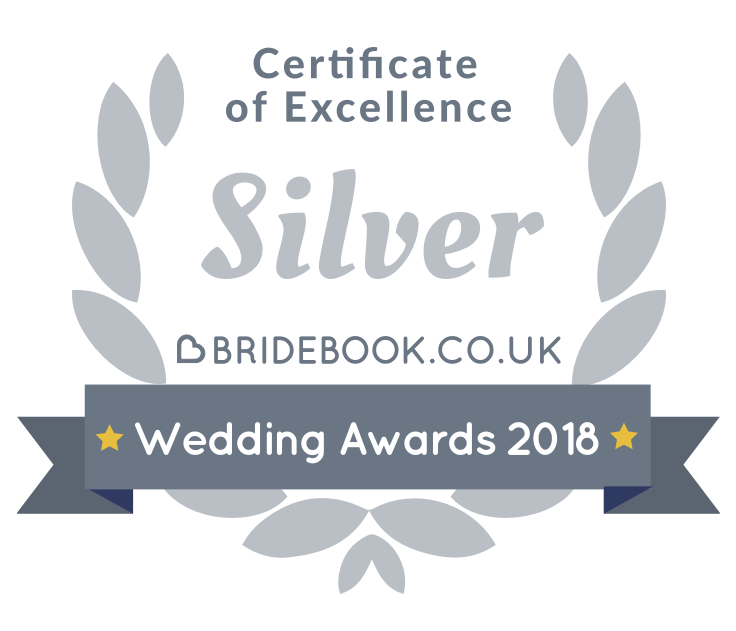 So, back in October I decided to enter a couple of awards in the Wedding Industry: The 'EDP BRIDE: The Wedding Awards' and 'The Wedding Industry Awards' (TWIA). I carefully thought about my entry profiles and honestly did not expect to get any further! For TWIA I also needed as many of my brides from 2017 as possible to vote for me and write a little review about their experiences, which they were kind enough to do so!! After the entries closed the judges had the tough job of looking through all the profiles and the TWIA judges also had to look through the voters comments too. I was so excited to received an email from the EDP BRIDE: The Wedding Awards to say that I had been shortlisted in the Best Newcomer category and would receive a visit from the category judges, and then a few days later I had a phone call from the same awards to tell me that I had also been shortlisted to the last 6 in the Hair and Beauty Stylist of the Year and would also receive a visit from the judges for that category too!! Amazing!! Both sets of judges visited separately on the same day and I was really nervous! I didn't expect to be short listed at all- this was my first year running my own business and I was already proud that I had booked and styled so many weddings in less than 11 months and had already had several bookings for 2018 and one for 2019! I had a lovely chat with both sets of judges about my work from 2017 and my goals for 2018, but unfortunately I wasn't selected as one of the final 2. Around the same time as I received the EDP news I also received an email from TWIA! TWIA is one of the biggest awards events in the Wedding Industry and it's separated first by region then becomes a national awards event. LOTS of wedding businesses enter these awards, and it's a tough competition! With the volume of companies entering (you may have seen the little pink TWIA logo scattered around your social media feeds from August with companies telling everyone they had entered) many businesses don't get passed the entry stage. But, I received an email telling me that I had been shortlisted for the East of England Best Newcomer of the Year and was invited to the awards ceremony in November! To say I was excited is an understatement!! I can't thank my 2017 brides enough for taking the time to vote for and review Hair Design by Lisa! I attended the awards at the Granary Estates in Newmarket along with all the other finalists who are some of the regions best wedding suppliers. I wasn't the winner, but to be recognised and counted as one of the top suppliers in the region was good enough for me! I had a great catch up with suppliers I'd met throughout the year and met some lovely new people too. My view of the stage before the awards started!